Recognition of nonformal and informal learning: Looking for good practices! Are you interested in lifelong learning? Do you think the “invisible” learning should be made visible? Do you know of any good practice in terms of the recognition of non-formal and informal learning? Do you believe in the importance of sharing solutions, whether bad or good, to improve LLL strategies at all levels? Are you convinced that the future of European society extends beyond formal education to learning acquired in non-formal or informal ways? WE WANT TO HEAR FROM YOU, WE WANT TO GET INSPIRED AND WE WOULD BE DELIGHTED TO PROMOTE YOUR APPROACH OR INITIATIVE. EOSE (the European Observatoire of Sport and Employment) is launching a new initiative on the ambitious and challenging topic of the recognition of informal and non-formal learning in and through sport. 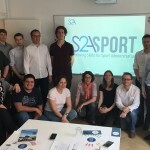 Though the main target is the sport and active leisure sector, the aim is truly to consult and gather the views, needs and suggestions of a wide variety of European citizens and civil organisations to provide a tailor-made feasible and relevant roadmap for future initiatives around this topic in the sector. 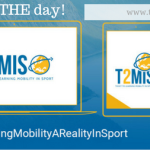 We believe it is the right timing to work together to explore concrete actions to be implemented and opportunities towards the recognition of non-formal and informal learning in the sport sector. Indeed sport is the sector which gathers the highest number of volunteers and the skills of this unpaid workforce are crucial if the sector is willing to deliver its full potential. There is a clear lack of recognition of the experiences, the value and the competences acquired by volunteers IN and THROUGH sport. The aim on the midterm to propose recommendation that will form the basis for the setting—up (mid and long term) of formal structures that recognise the visible evidence of invisible learning in the sector. We know we can do it only by working together since the recognition of non-formal learning requires political legitimacy, and acceptance as well as strong involvement of relevant political actors, not least employers and employees, not to forget the volunteers! 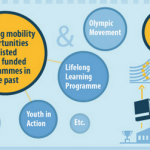 Our will is to work together to identify adapted processes and methodologies that will allow the skills and experience acquired through sport to be given recognition and consideration by employers, formal education and civil society in general. We are ready to be challenged and will be delighted to explore different paths towards this objective. And this is starting right now!